A highly efficient external wall insulation panel from the originators of the nailbase insulation industry. TechWALL® Pro is a composite wall insulation panel with high R-Value XPS foam (polyiso foam optional) bonded to a 7/16" OSB nailing surface. TechWALL® Pro gives you the option of much greater insulation value than a stud wall can hold. The product can be used in both new construction and remodeling—without modification of the inside of the structure. The OSB nailing surface is used to attach siding of all types. TechWALL® Pro is attached to your wood sheathing and studs (or concrete, CMU or metal studs/gypsum board) with SIP Fasteners. Your choice of siding attaches to the TechWALL® Pro with a proper housewrap/air barrier. 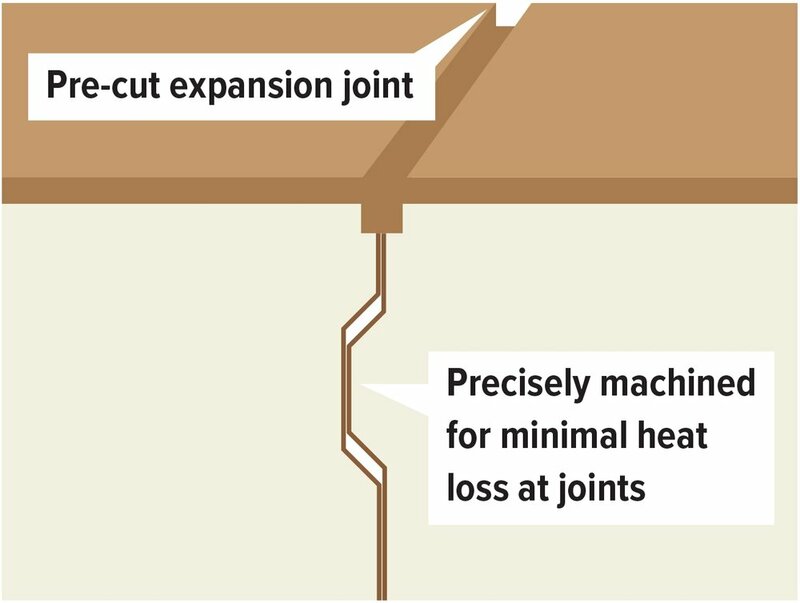 International building codes now require a higher R-value than stud wall insulation, even greater than spray foam with a thin foam outer layer-can provide. Some of this extra R-value must be in the form of ‘ci’, or continuous insulation. Many States are adopting these Building Codes for 2017 and beyond. TechWALL® Pro meets the new code requirements today. *The nominal foam thickness is 1/2” less than the overall panel thickness (TechBASE Pro EPS). **R-values per ASTM C518 @ 25 degrees F, Type I EPS @ 4.35 R per inch. *The nominal foam thickness is 1/2” less than the overall panel thickness. ***ASTM 518 R-value measurement per XPS manufacturers recommendation. Note: Always refer to local building codes. It is always recommended to have the wall assembly dew point calculated by a qualified architect or engineer to ensure proper usage in the chosen environment.